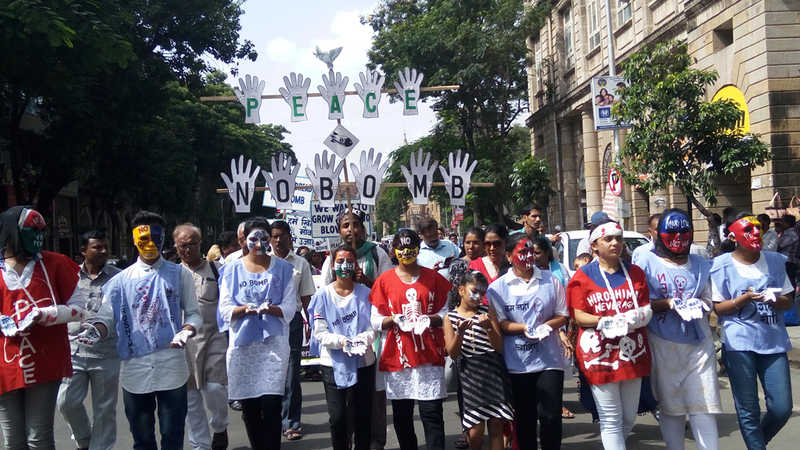 Nearly 1,000 students led a peace rally from Azad Maidan to Hutatma Chowk Saturday, August 5, 2017 to mark the 72nd anniversary of the atomic bomb attack on the Japanese cities of Hiroshima and Nagasaki by the USA during World War II. "Students wore outfits embossed or painted with skulls and carried graphic posters depicting the horror caused by the atom bomb. Large banners bearing slogans like 'No More Hiroshima', 'We want to grow up, not blow up', 'No: Bomb Yes: Peace' were abundantly visible. 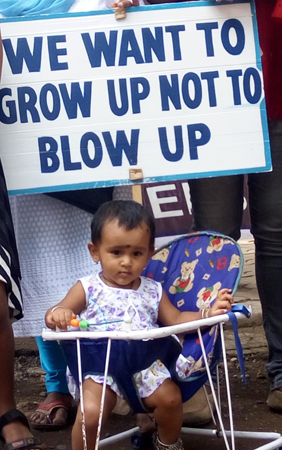 The youngest participant was a toddler in a pram," said veteran Gandhian TRK Somaiya of the Bombay Sarvodaya Mandal which is the driving force behind the event. Hiroshima Day is observed August 6. 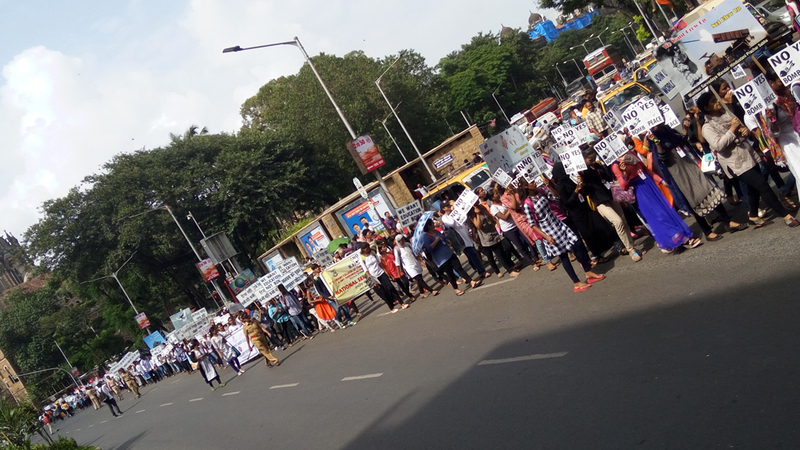 This march was organised a day before. The participants took a pledge to work for peace and a nuclear-free world. "Today we pledge together with the millions of people all over the world to work tirelessly for the complete elimination of nuclear weapons and all weapons," they read. 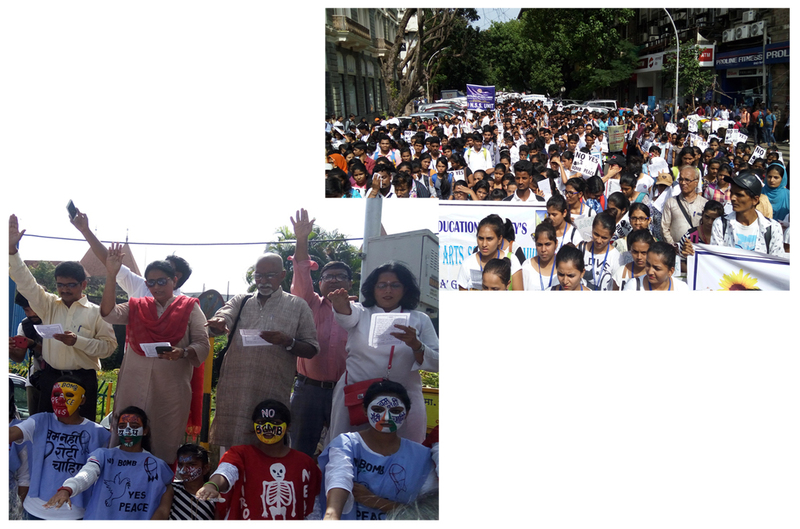 Prof. Satish Kolate and Jayant Diwan administrated the oath to the gathering. 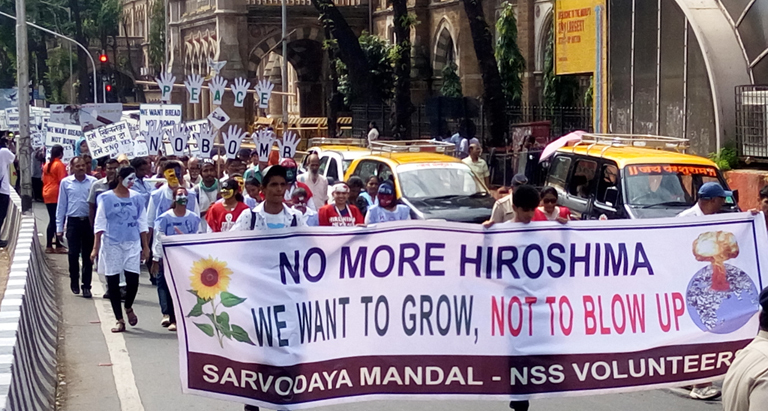 Students carrying placards & flags for peace and nuclear-free world. 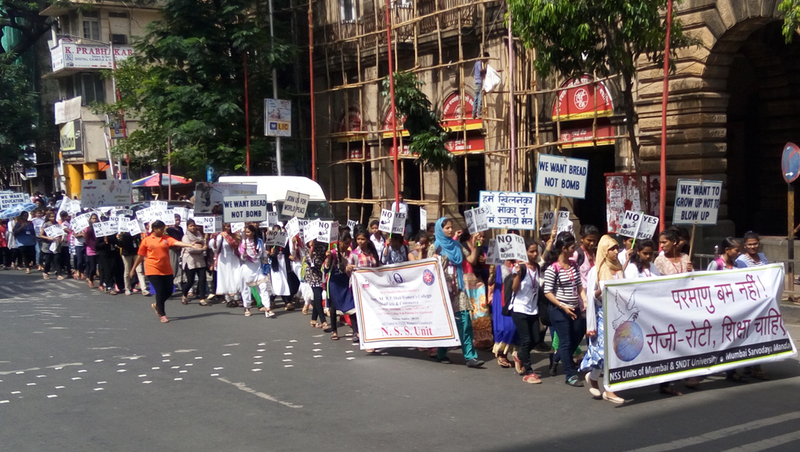 Students carrying placards for peace and nuclear-free world.